Canara Bank provides a personal loan to PSUs, corporate employees, government departments, institutions, self-employed persons, etc. It is a state-owned bank which has its headquartered in Bangalore and has 5641 branches across India. Canara Bank is one of the best and oldest banks in the country and was established in July 1906 in Mangalore. 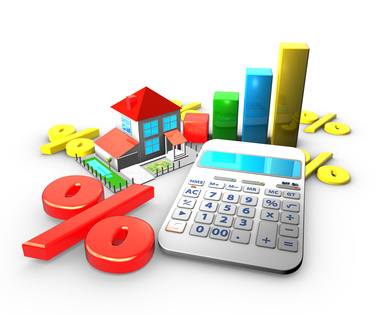 The bank has products like personal loans, vehicle loans, home loans, education loans and loan against property. A Personal Loan is a category of unsecured loans. In this loan, the bank or non-banking financial company provides your loan amount at some rate of interest for a given period of time. The loan is termed as an unsecured loan because it doesn’t ask for any collateral. It means there is no need to pledge anything to the bank as the security. It is based on your salary and source of income. Basically, the bank checks your credit history and salary or annual income. Besides that, there is no need for any guarantor in the personal loan. Lending up to 3 Lacs or 6 months Gross Salary, whichever is less. The Canara bank personal loan is very easy to apply. You can apply online to get a Canara bank personal loan besides that you may get so many offers too. If you apply for the Canara bank personal loan and you are eligible and you get very quick Approval. After getting the approval of the Canara bank personal loan your loan can be disbursed very quickly if you have all the documents. The documentation process is no that tedious in Canara bank personal loan. it is very simple you have to submit some basic documents like ID proof, Residence proof and your income proof with two photographs. Doorstep Services are also available in the Canara bank personal loan. it means there is no need to go to the bank your documents will be picked up from your doorstep. There is no part-payment fess. EMI limit can be 60% of the monthly income. Citizenship: To get a Canara bank personal loan the customer should be a citizen of India. Minimum Age: The minimum age of the applicant should be 21 years to get a Canara bank personal loan. Maximum Age: maximum age of the applicant to get a Canara bank personal loan can be 58 years. Metro: the salary of any salaried person who wants to get a Canara bank personal loan should be Rs.18,000 at least if he/she is living in a metro city. Tier-2: it the applicant is in tier 2 city then his income should be Rs. 15,000. Tier-3: It should be Rs. 15,000 in tier 3. Experience: the applicant should be working in the company for the last three years to get a Canara bank personal loan. it means the applicant should have 3 years experience at least to apply for a personal loan. Current Experience: the applicant should be working in the current company for one year at least. Salary in Cash: a person who is getting his/her salary in cash can’t apply for a personal loan. it is necessary that the applicant should be getting his/her salary in his/her account. Citizenship: he/she should be a citizen of India. Minimum Age: for a self-employed applicant the minimum age of the applicant should be 25 years at least. Maximum Age: a self-employed person can apply for a personal loan till 65 years. ITR required: he/she should have been paying the ITR of Rs. 2.5 lakhs - 3.0 Lakh per year at least for last three years. Residence: Office or Home should be Owned. Applicant should have his/her own home. Telephone / Mobile: applicant should have a mobile phone. It is mandatory. Business Stability: The applicant's Business Should be running from last 3 years. Rates of interest are very rational. 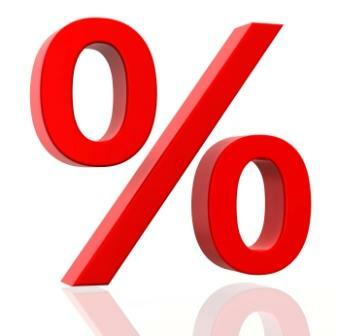 it starts at 12.75% per annum and can be varied according to the income of the customer. The processing fees can be Rs. 1000 to Rs. 5000 maximum. It depends on the amount of the loan. The tenure of the loan can be from 1 year to 5 years maximum. The maximum amount sanctioned by the bank can be Rs. 3 Lakhs. You can apply for the Canara bank personal loan online on the website of dialabank.com. After that fill the Canara bank personal loan online. Enter your basic information with your contact number. It is India’s first financial helpline. There is no chance of any kind of fraud. You will get a personal loan at very low rates of interest. The customer’s query response is very quick. You will get a call back from our side within 5 minutes. A person less than 21 years can’t apply for a Canara bank personal loan. A person with bad credit history can’t apply for a personal loan. a salaried person whose income is less than Rs. 15000 can’t apply for a personal loan. A self-employed person who does not file an income tax report can’t apply for a personal loan. A self-employed person who pays ITR less than Rs. 2.5 lakhs can’t apply for a personal loan. Special Note: We do not provide Personal Loans to bad credit holders, however, you can fulfill your finance requirements with Gold Loan easily.